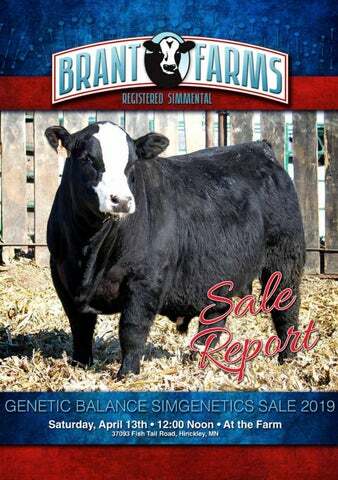 The 15th Annual Brant Farms Genetic Balance Sale was held on a storm date of April 15th at the farm near Hinckley, MN. An April snowstorm decided that the prior weekend was the perfect time to stop the state from functioning so the sunshine on Monday was a welcome sign. The offering had something for everyone in the divisions of herd bull prospects, cow/calf pairs, bred females and genetic lots. A highlight each year is the drawing of 2 halves of processed pork and the winners this year were John Dorau & Adam Bowman. On behalf of the Brant Farms crew of Ron, John and Julie, thank you to our loyal customers that have made the past 15 years a success and allowing us to follow your passion!